On February 4th, 2004, Facebook was founded in a Harvard dorm room by Mark Zuckerberg, Eduardo Saverin, Andrew McCollum, Dustin Moskovitz and Chris Hughes. The beginnings of Facebook was immortalized in the movie "The Social Network". According to the movie and numerous other accounts, Zuckerberg was hired by three Harvard students (Cameron Winklevoss, Tyler Winklevoss, Divya Narendra) to build a social network called HarvardConnection.com. According to the three men, Zuckerberg took the idea for HarvardConnection.com and developed his own site, Facebook.com (originally known as Thefacebook.com). Zuckerberg had generated some notoriety on campus for creating a site called "Facemash", which was quickly shut down by Harvard administrators. Word got out that Zuckerberg had created the site, and the Winklevoss twins plus Divya Narendra decided to hire him to build their site. What really happened between the men is up for debate (Zuckerberg says that the actual events are different than what was portrayed in the movie), but one thing is for sure - the two sides settled in 2008, with the three jilted men receiving hundreds of millions of dollars worth of Facebook shares. Membership for Facebook.com was originally restricted to students of Harvard. 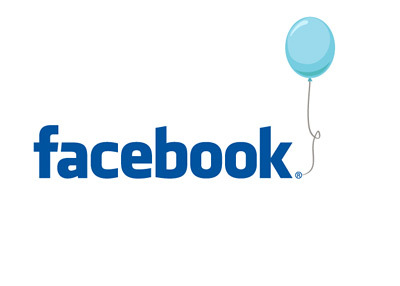 Over the years, the site became available to more and more people - on September 26th, 2006, Facebook opened its doors to anyone over the age of 13 who had a valid email address. Peter Thiel, co-founder of Paypal, was the first investor in the company. Others followed - in October of 2007, Microsoft purchased a 1.6% stake in Facebook for $240 million, which valued the company at $15 billion. People laughed at Facebook's valuation at the time, calling Microsoft crazy for spending so much money on their stake. Over the years, Facebook attracted more and more investment interest. Their list of investors became so large, in fact, that eventually they had to file to go public. On May 17th, 2012, the company officially listed on the NASDAQ for $38/share. Facebook could seemingly do no wrong for a number of years - that was, of course, until they went public. All of a sudden, investor sentiment towards the company turned negative. There were a number of reasons for that - a botched initial public offering, worries about non-existent mobile revenues and concerns that young users may have been fleeing the site. Shares of Facebook traded into the teens, resulting in much egg on the faces of Mark Zuckerberg and the companies that had taken Facebook public. Facebook was able to pivot quickly, deciding to focus a tremendous amount of their resources on growing their mobile revenues. The move worked - in the fourth quarter of 2013, $1.37 billion of Facebook's $2.59 billion in revenues came from mobile users. A tremendous accomplishment considering that their mobile revenues stood at zero just over a year prior. Growing mobile revenues have helped to propel shares of Facebook into the stratosphere - at the close of business today, one share of Facebook would have cost you $62.75, which gives the company a market capitalization of $159.82 billion. Facebook has had a number of ups and downs over the course of their ten year history, but they are certainly on the upswing right now. What will Facebook look like ten years from now? Will they be able to maintain their growing user base when the "next big thing" hits the market, as it certainly will? Will Facebook continue to grow their empire, or will they go the way of MySpace?